Ride In - No Charge Show! FREE TO ENTER! 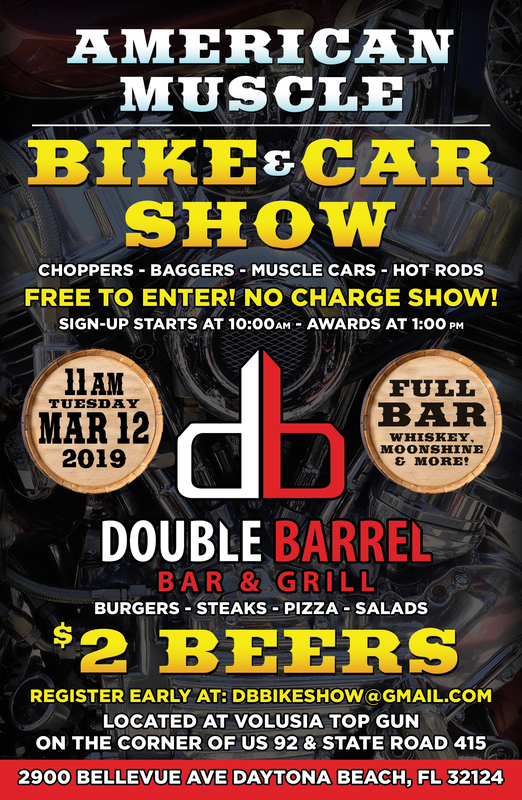 Choppers, Baggers, Bobbers, Classics, Muscle Cars & Hot Rods Welcome! Food and Beverages! Registration Starts at 10 am, Show Starts at 11 am, Awards at 1 pm. Register Early by Email at "dbbikeshow@gmail.com"